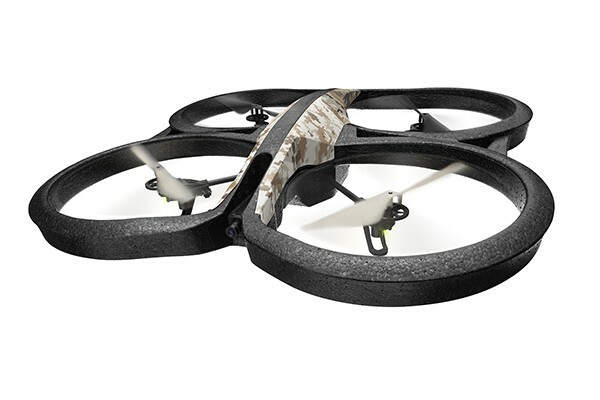 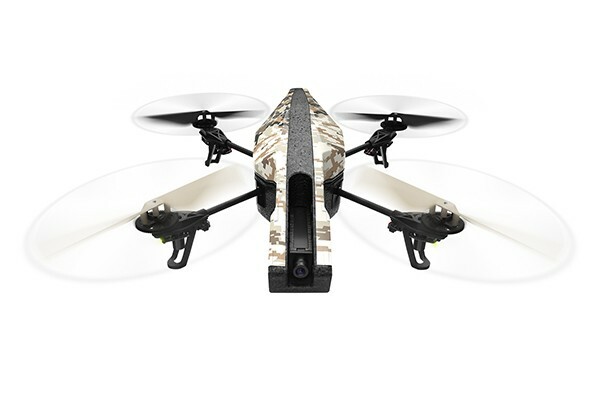 Easily controlled by Wi-Fi using a smartphone or tablet, the latest Parrot AR.Drone 2.0 Elite Edition collection offers enthusiasts a choice of three classic camouflaged styles comprising Sand, Snow or Jungle liveries. 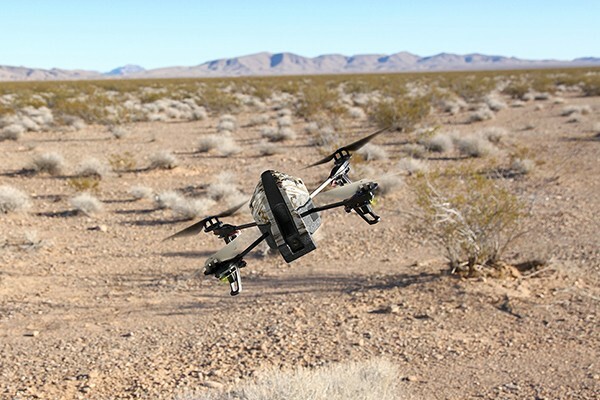 Inspired by desert, arctic and rainforest landscapes. 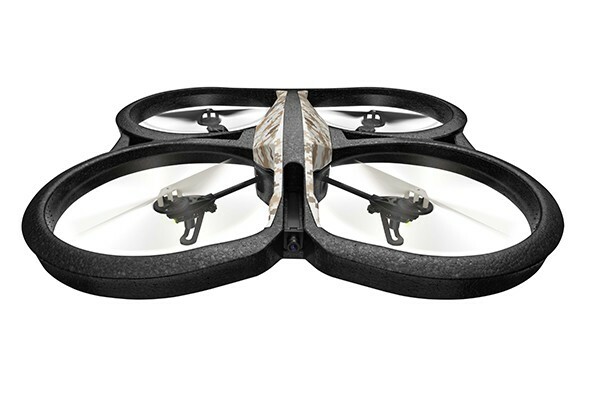 Each individual product is supplied attractively packaged in its own specially designed printed carton with a distinctive indoor and outdoor hull, with one pair of black propellers and another customised pair of propellers to compliment the colour scheme. 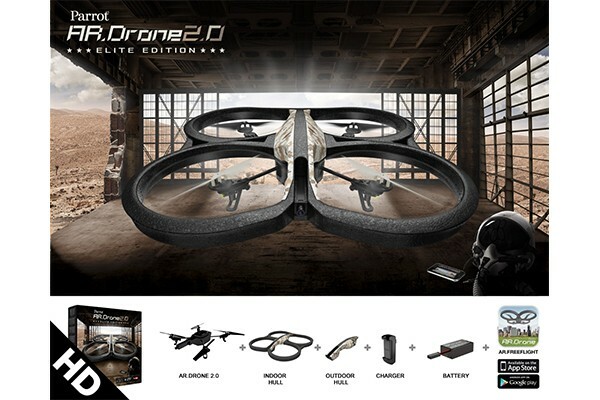 The exclusive Elite Edition packaging includes one 1000mAh lithium polymer battery to provide up to twelve minutes of flying time, plus a convenient mains charger with international adaptors. 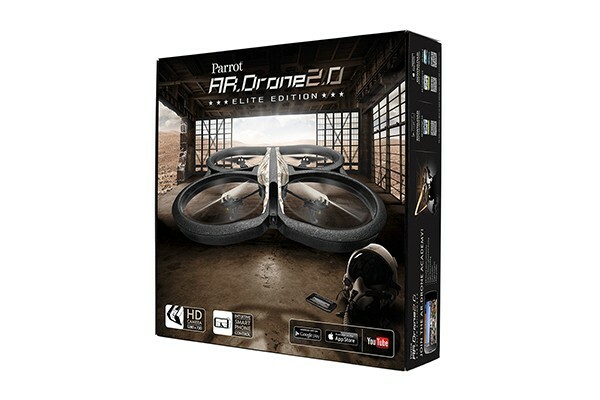 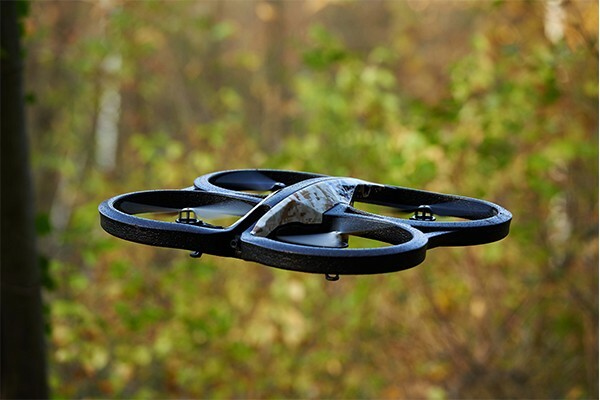 Featuring a high definition camera with a video recording facility, plus flight data sharing, a patented piloting mode, and an innovative pressure sensor for increased stability at any altitude, Parrot's amazing AR.Drone 2.0 Elite Edition quadricopter can even perform four axis flips on command. 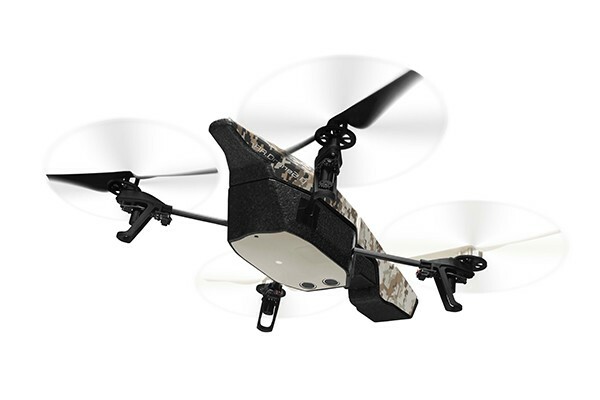 • Store flight footage directly onto a remote device via Wi-Fi or directly to a USB key via the on-board port.